material or (iii) prevention against any malfunction or mishap. rights, or any other rights, belonging to Mitsubishi Electric Corporation or a third party. distributor for the latest product information before purchasing a product listed herein. The information described here may contain technical inaccuracies or typographical errors. Mitsubishi Electric Corporation assumes no responsibility for any damage, liability, or other loss rising from these inaccuracies or errors. 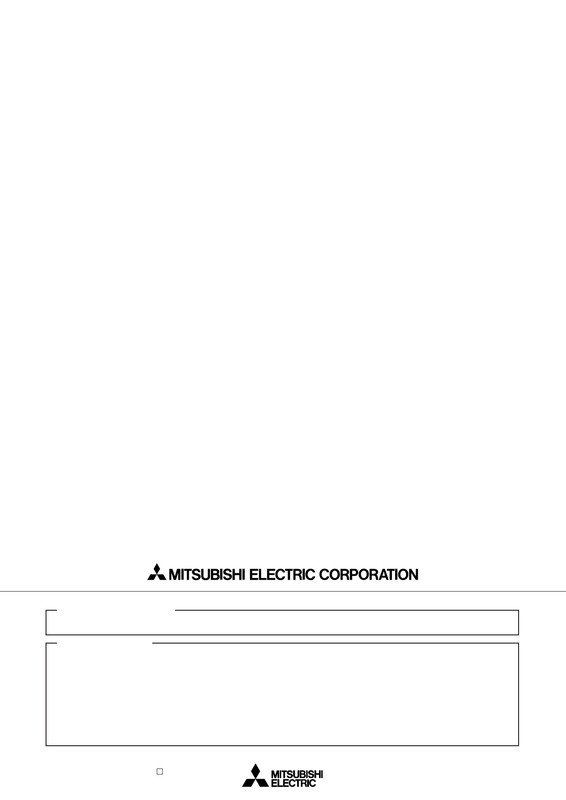 Please also pay attention to information published by Mitsubishi Electric Corporation by various means, including the Mitsubishi Semiconductor home page (http://www.mitsubishichips.com). on the applicability of the information and products. Mitsubishi Electric Corporation assumes no responsibility for any damage, liability or other loss resulting from the information contained herein. aerospace, nuclear, or undersea repeater use. â¢ The prior written approval of Mitsubishi Electric Corporation is necessary to reprint or reproduce in whole or in part these materials. â¢ Please contact Mitsubishi Electric Corporation or an authorized Mitsubishi Semiconductor product distributor for further details on these materials or the products contained therein. Â© 2000 MITSUBISHI ELECTRIC CORP.
New publication, effective Jan. 2000.